Hello, there!Wow, it's already the last day of July!!! !Time flies so fast!Today is one of the special day to celebrate, it's my sister's birthday!!! 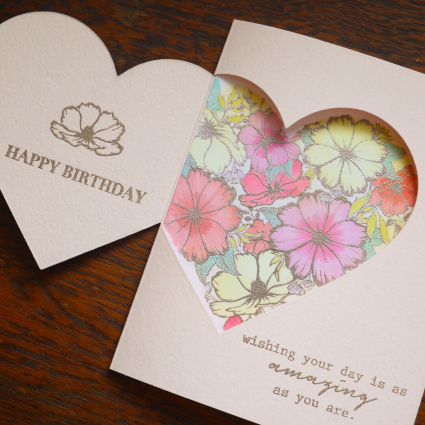 !So I'm going to show you one Birthday Card ispired by The Ton Stamps Mood Board Challenge. 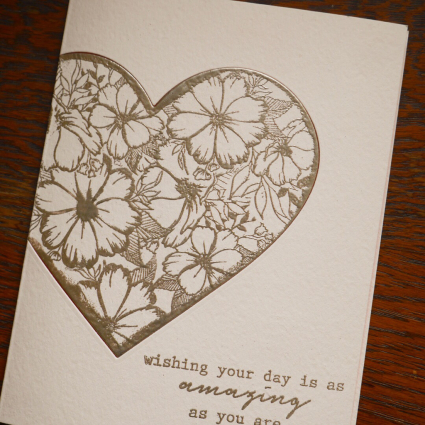 I used partial die cutting technique for the front heart.And I filled the heart with lots of flowers using Wishful Wildflowers. Inside the card, I used the paper Neenah Solar White 80lb and stamped just same as the front and colored in with Copics. 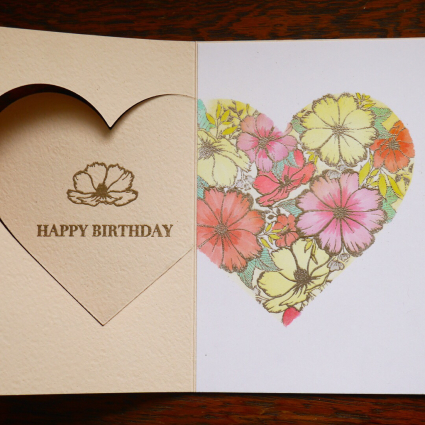 Since inside of the paper has lots of colors, I wanted the front pretty simple.So I just heat embossed those flowers. You can either open just the heart or open like below.And you can write message around the colorful flower hearts. 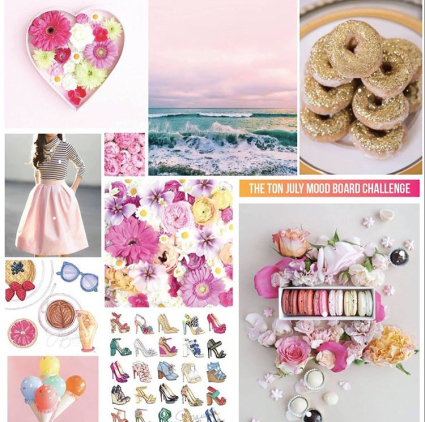 This month's Challenge by The Ton Stamps was Mood Board Challenge.What inspres you from this mood board?! You have still one more day to enter July Challenge!It's fun to play around with this beautiful board.Have fun crafting!! !